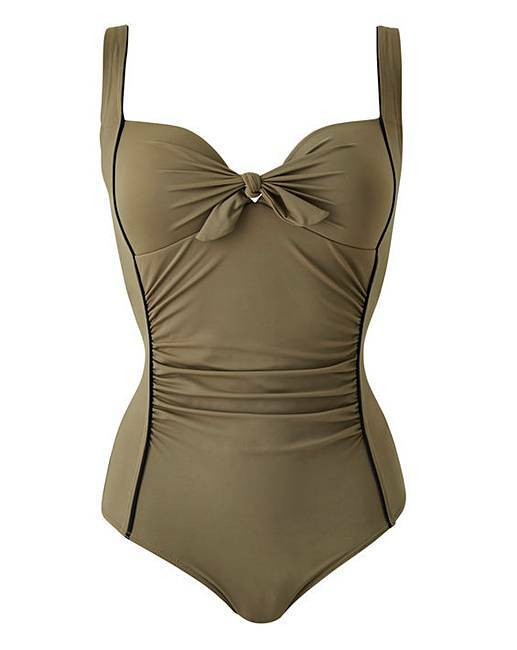 Jazz up your swimwear collection with the classic swimuit in khaki. The light bust shelf and fixed foam cups offer light support. 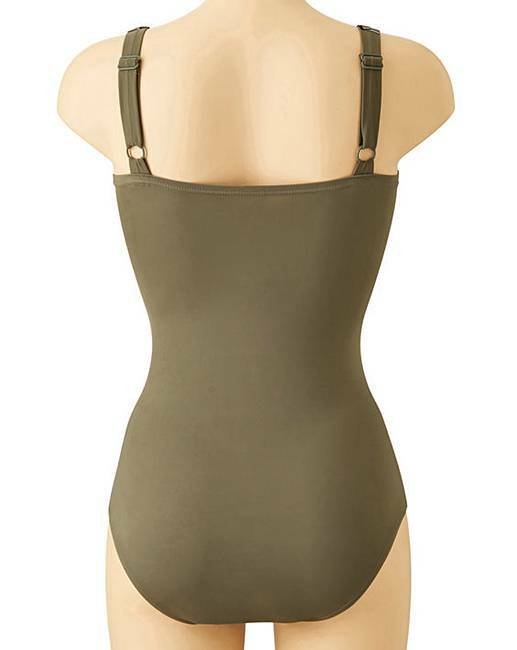 Whilst the adjustable straps and centre back clasp provide a fit that flatters. Finished with cute bow detailing to the centre front.